Torbay is a borough in Devon, England, administered by the unitary authority of Torbay Council. It consists of 62.87 square kilometres (24.27 sq mi) of land, spanning the towns of Torquay, Paignton and Brixham, located around an east-facing natural harbour (Tor Bay) on the English Channel. Torbay is roughly equidistant from the cities of Exeter and Plymouth. A popular tourist destination with a tight conurbation of resort towns, Torbay's sandy beaches, mild climate and recreational and leisure attractions have given rise to the nickname of the English Riviera. That the Torbay area has been inhabited since Paleolithic times is shown by human bones and tools found in Kents Cavern in Torquay. A maxilla fragment known as Kents Cavern 4 may be the oldest example of a modern human in Europe, dating back to 37,000–40,000 years ago. Roman soldiers are known to have visited Torquay during the period when Britain was a part of the Roman Empire, leaving offerings at a curious rock formation in Kent's Cavern, known as "The Face". Both Brixham and Paignton appear in the Domesday Book of 1086 and Paignton was given the status of a borough having a market and fair in 1294. The first major building in Torquay was Torre Abbey, a Premonstratensian monastery founded in 1196. William Prince of Orange (afterwards King William III) landed in Brixham on 5 November 1688, during the Glorious Revolution, and issued his famous declaration "The Liberties of England and The Protestant Religion I Will Maintain". Torquay's economy was, like Brixham's, initially based on fishing and agriculture, but in the early 19th century it began to develop into a fashionable seaside resort, initially frequented by members of the Royal Navy during the Napoleonic Wars while the Royal Navy anchored in Tor Bay and later, as the town's fame spread, by Victorian society. The historic part of Paignton is inland: the low-lying coastal fringe was originally salt marsh. Kirkham House is a late medieval stone house which is open to the public at certain times of year, and the Coverdale Tower adjacent to Paignton Parish Church is named after Bishop Miles Coverdale, who published an English translation of the Bible in 1536. Paignton remained a small fishing village until the early 19th century; a new harbour was built here in 1837. The second phase in the urban expansion of the area began when Torre railway station was opened in December 1848. The railway was extended to Torquay Seafront station in 1858, Paignton in 1859 and to Brixham in 1861. As a result of its expansion, Torquay was granted borough status in 1872, and 1902 saw its first marketing campaign to summer tourists. Torbay Golf & Country Club (now defunct) opened in 1933. 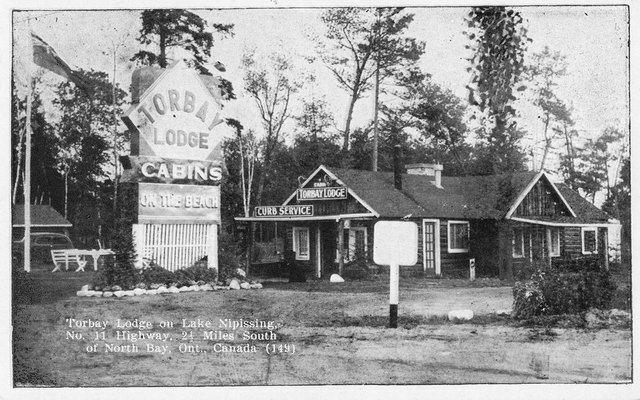 The club and course closed in the mid 1950s. Tor Bay hosted the sailing events for the 1948 Summer Olympics in London. The County Borough of Torbay was created in 1968 by the amalgamation of the Municipal Borough of Torquay, Urban District of Paignton and Urban District of Brixham, also taking in parts of the civil parishes of Coffinswell and Kerswells from Newton Abbot Rural District and Churston Ferrers and Marldon from Totnes Rural District. The County Borough became the Borough of Torbay under local government reorganisation in 1974. It was made a unitary authority on 1 April 1998 making it responsible for its own affairs. The area is represented nationally at the House of Commons by two MPs. Torquay (along with part of Paignton) is in the Torbay parliamentary constituency which was created in 1974 and was won by Kevin Foster for the Conservatives in 2015 having been held by Adrian Sanders of the Liberal Democrats from 1997-2015. Brixham and part of Paignton fall within the Totnes constituency, with Conservative Sarah Wollaston elected. Torbay is in the South West England constituency of the European Parliament, together with the rest of South West England and Gibraltar. Until May 2011, Torbay Council had been headed by the first directly elected mayor in the South West region. Conservative candidate Nicholas Bye who won in October 2005, under an electoral system which was later described as "a total failure" with Bye receiving votes from fewer than 7% of the electorate. However, running as an independent he was defeated in the May 2011 election by Gordon Oliver who stood as a Conservative. Oliver was re-elected in 2015. There are three main towns around the marine inlet of Tor Bay: Torquay in the north, Paignton in the centre, and Brixham in the south. These have become connected over the years, swallowing up villages and towns such as St Marychurch, Cockington, Churston Ferrers and Galmpton. The borough of Torbay is bordered by the South Hams to the south and west, and by Teignbridge to the north. Nearby towns include Totnes and Dartmouth in the South Hams, and Newton Abbot and Teignmouth in Teignbridge. The southern limit of Tor Bay is Berry Head, and the northern limit is Hope's Nose, although Torquay itself stretches further north into Babbacombe Bay, where the beaches at Oddicombe, Babbacombe and Maidencombe can be found; these are noted for their interesting Breccia cliffs. Torbay's many geological features have led to the establishment of the English Riviera Geopark; as of July 2008, this is the sole urban geopark of the 53 geoparks worldwide. Because of the mild climate, Torbay palm trees are a common sight along the coast. However, these are in fact not palms but Cordyline australis, originating from New Zealand where it is known as "cabbage tree". These trees also flourish elsewhere in the UK. It is suggested that the popularity of cabbage trees in Torbay is attributable to their first being introduced to the UK in that region. The 2011 census confirmed Torbay's reputation as a retirement area, with a higher proportion of all age groups over the age of 50 than nationally. However compared to 2001, age groups 75-79 and 80-85 both showed a decline of around 4%, compared to increases of 1.5% and 14% for the whole country. Torbay's main industry is tourism. It has a large number of European students learning English. The fishing port of Brixham is home to one of England and Wales' most successful fishing fleets and regularly lands more value than any UK port outside Scotland. It is also a base for Her Majesty's Coastguard and the Torbay Lifeboat Station. Torbay has been twinned with Hameln in Lower Saxony, Germany since 1973; and with Hellevoetsluis in the Netherlands since 1989. Torbay lacks direct motorway links and is primarily served by the A380 road from Exeter to Tweenaways Cross, Paignton, which is dual carriageway, with a single carriageway flyover at Penn Inn roundabout, as far as Churscombe Cross. The rest of the road to Tweenaways Cross is single carriageway. Torbay's other main road links are the A379, which follows a coastal route from Teignmouth, passes through Torquay and Paignton, then goes on to Dartmouth; and the A385 road which goes inland to Totnes and the A38. The A3022 road serves all three towns and varies from dual carriageway and single carriageway. The bus franchise is largely operated by Stagecoach South West. The other bus company operating throughout Torbay is Local Link. Torbay has three stations on the National Rail network, operated by First Great Western: Torre railway station is inland on the road from Torquay to Newton Abbot, Torquay railway station is close to Torre Abbey Sands and Paignton railway station serves that town and links with the heritage Dartmouth Steam Railway to Kingswear, connecting via the Dart ferry to Dartmouth. A new station at Edginswell is planned to open in December 2018 as part of the Devon Metro scheme. 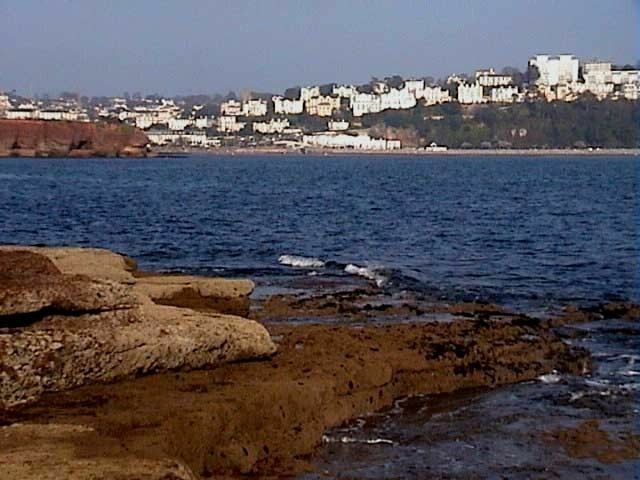 Famous former residents of Torbay include authors Agatha Christie (who set many of her novels in a thinly disguised version of the borough), Charles Kingsley, Edmund Gosse and Rudyard Kipling. Peter Cook, comic, (half of a famous comedy team with Dudley Moore); the industrialist and architect of the nearby Atmospheric railway, Isambard Kingdom Brunel; Prog-rock band Wishbone Ash, supermodel Lily Cole and comedian Jim Davidson. Tennis player/TV presenter Sue Barker originates from the area.